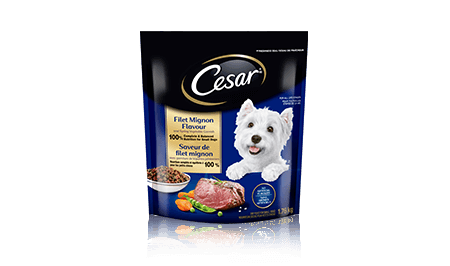 CESAR® Filet Mignon Flavour and Spring Vegetable Garnish is rated 4.0 out of 5 by 53. 1 Cup = 250 mL, 1 Tray= 100g. **Puppies can be fed up to 2 times the highest amount listed in their target adult weight category.  Pregnant and nursing dogs can be fed up to 3 times the amount listed. If feeding CESAR® Filet Mignon Flavour & Spring Vegetable Garnish dry dog food for the first time or changing formula, we suggest you blend increasing amounts of the new formula with your old dog food for 7-10 days. CESAR® Filet Mignon Flavour and Spring Vegetable Garnish for small dogs is formulated to meet the nutritional levels established by the AAFCO dog food nutrient profiles for all life stages. CHICKEN MEAL, CORN, BREWERS RICE, CHICKEN BY-PRODUCT MEAL, WHEAT, ANIMAL FAT (PRESERVED WITH BHA & CITRIC ACID), DRIED BEET PULP, SOYBEAN MEAL, RICE FLOUR, FLAVOUR, VEGETABLE OIL (PRESERVED WITH BHA & BHT), GLYCERIN, SALT, TAPIOCA STARCH, POTASSIUM CHLORIDE, DRIED PEAS, FISH OIL (PRESERVED WITH MIXED TOCOPHEROLS), CHICKEN, CARAMEL COLOUR, GELATIN, MONOCALCIUM PHOSPHATE, CHOLINE CHLORIDE, POTASSIUM SORBATE, VITAMIN E SUPPLEMENT, DRIED CARROTS, NATURAL FILET MIGNON FLAVOUR, ZINC SULPHATE, MONO & DIGLYCERIDES, BHA, BHT & CITRIC ACID, CHLOROPHYLL, IRON OXIDE, NIACIN SUPPLEMENT (VITAMIN B3), COPPER SULPHATE, D-CALCIUM PANTOTHENATE (SOURCE OF VITAMIN B5), RIBOFLAVIN SUPPLEMENT (VITAMIN B2), SODIUM SELENITE, PYRIDOXINE HYDROCHLORIDE (VITAMIN B6), VITAMIN A SUPPLEMENT, TURMERIC, THIAMINE MONONITRATE (VITAMIN B1), FOLIC ACID, BIOTIN, VITAMIN D3 SUPPLEMENT, POTASSIUM IODIDE, VITAMIN B12 SUPPLEMENT.